I’ve seen several posts from photographers called “what’s in my camera bag?” and have always found them super interesting. 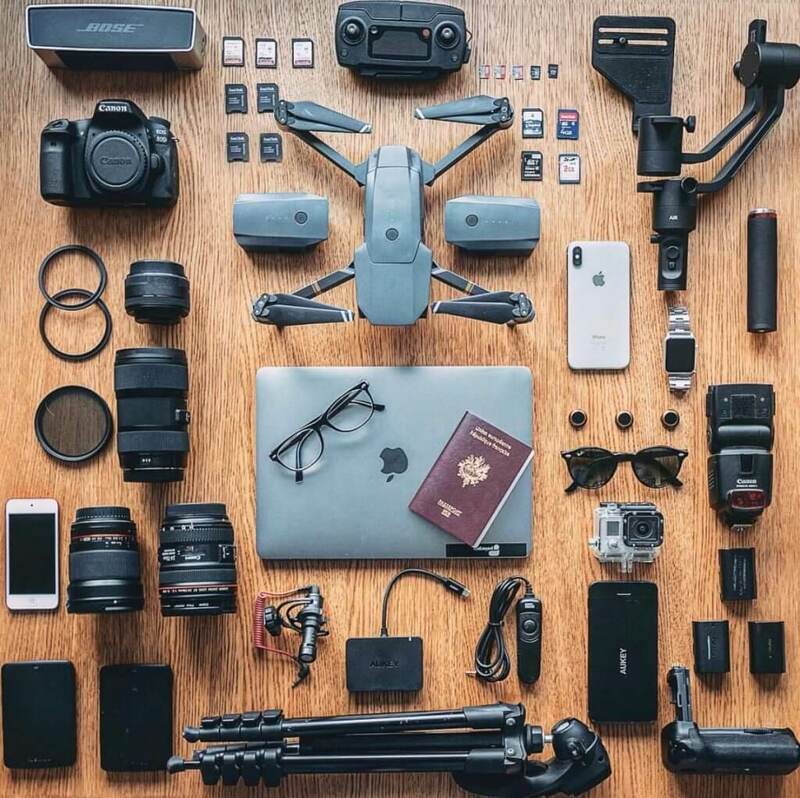 The best camera gear doesn’t make you the best photographer, but the equipment in your camera bag can tell a lot about you! I’ve been running an Instagram account called @gearspread for quite some time now. I’ve curated over 200+ camera gear spreads and I’ve decided to put together my favorite camera bags into this post! 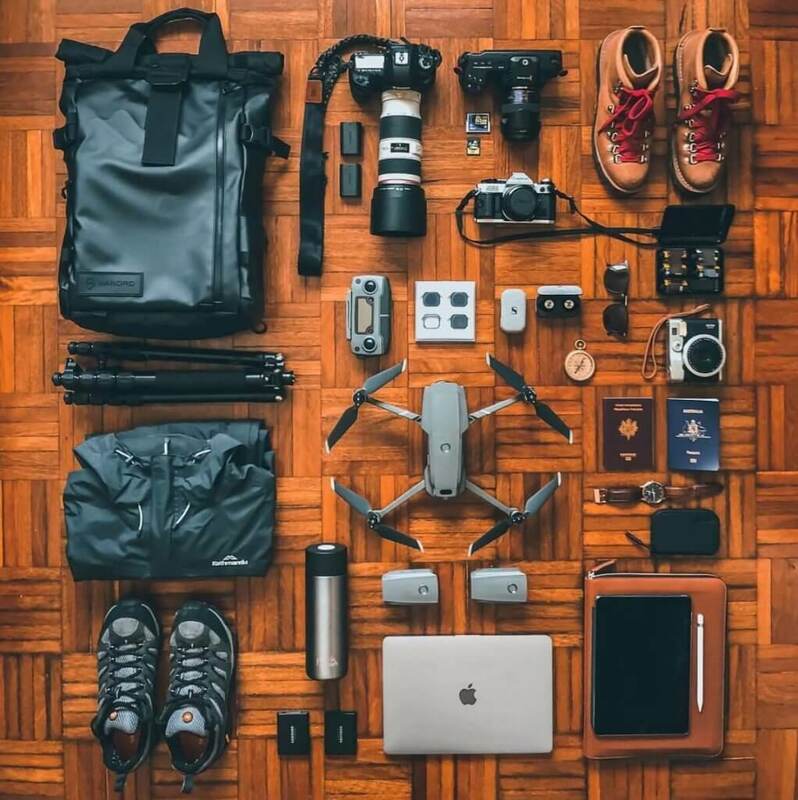 If you have a camera gear spread, feel free to tag us in your camera bag photos! The best camera bags to me are the ones that are well rounded. A mix of photography tools that facilitate a certain type of photography, but also help you in your everyday work. 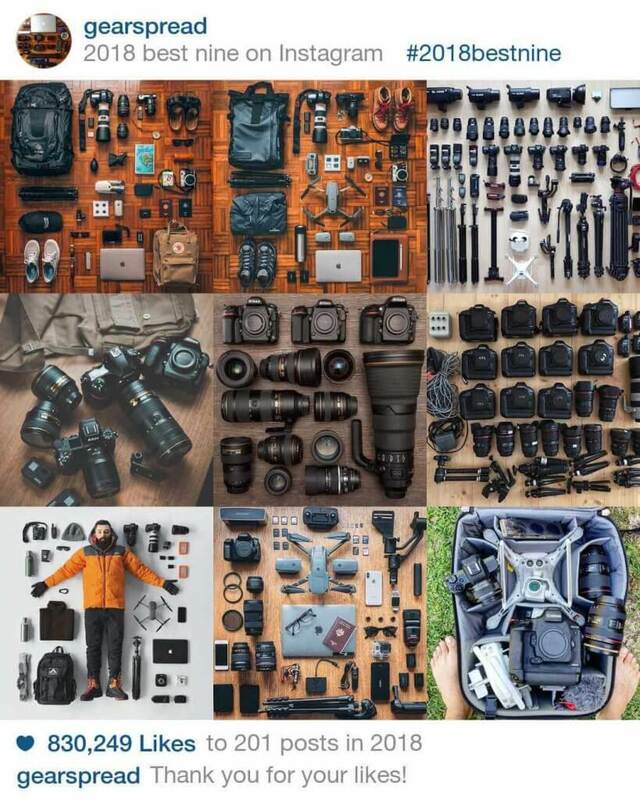 Having the right camera body, camera lenses, tech essentials, photo accessories, and camera bag is crucial! 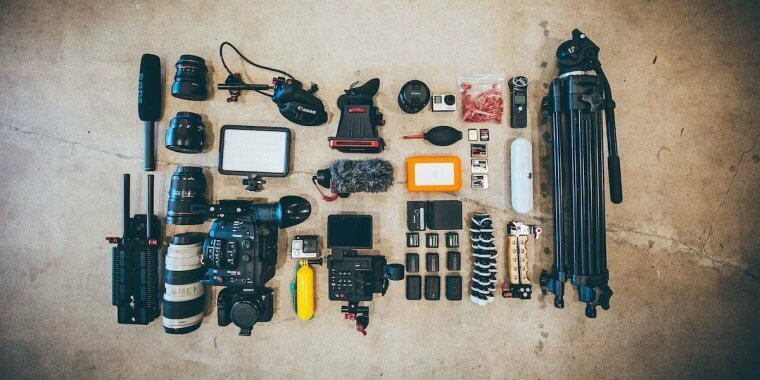 The second camera gear spread from @oftwolands is what the pair carried to their trip to Hawaii. 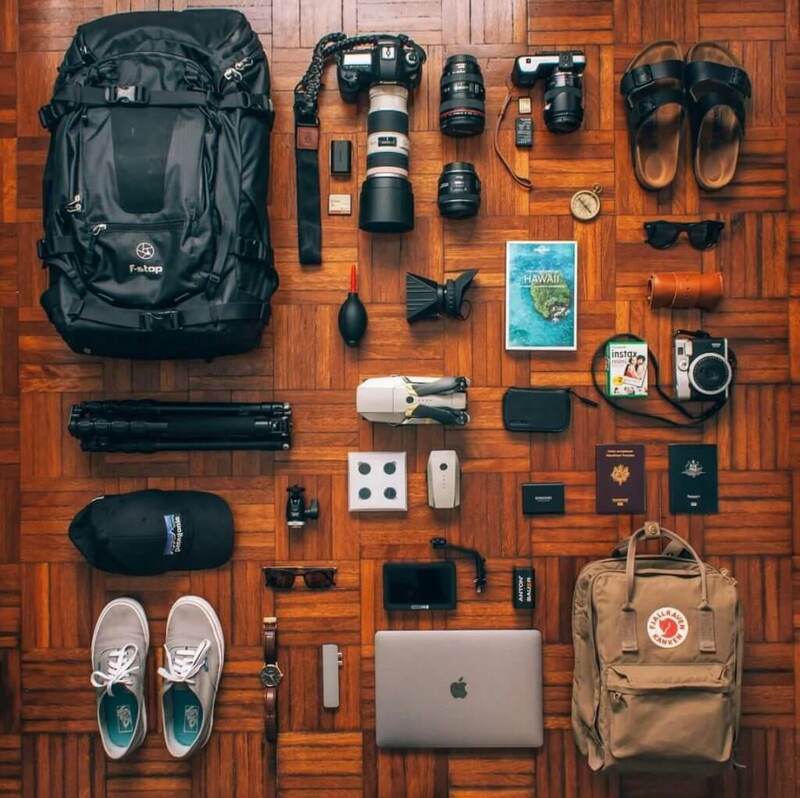 It’s cool to see the difference in camera bag essentials that Florent & Amberly bring along to their Hawaii and Europe trip! The folks at @mpbcom are a regular contributor to the @gearspread Instagram account. 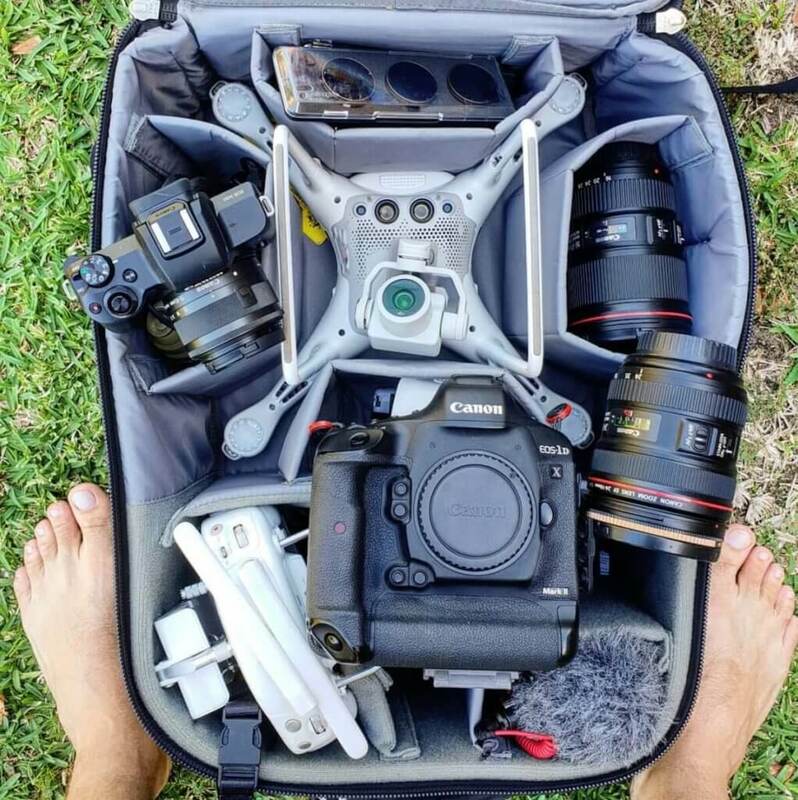 The team creates the best “what’s in my camera bag” posts and they do it bigger and bigger every time. These two posts have done especially well and it’s cool to see Nikon gear getting a turn in the spotlight! 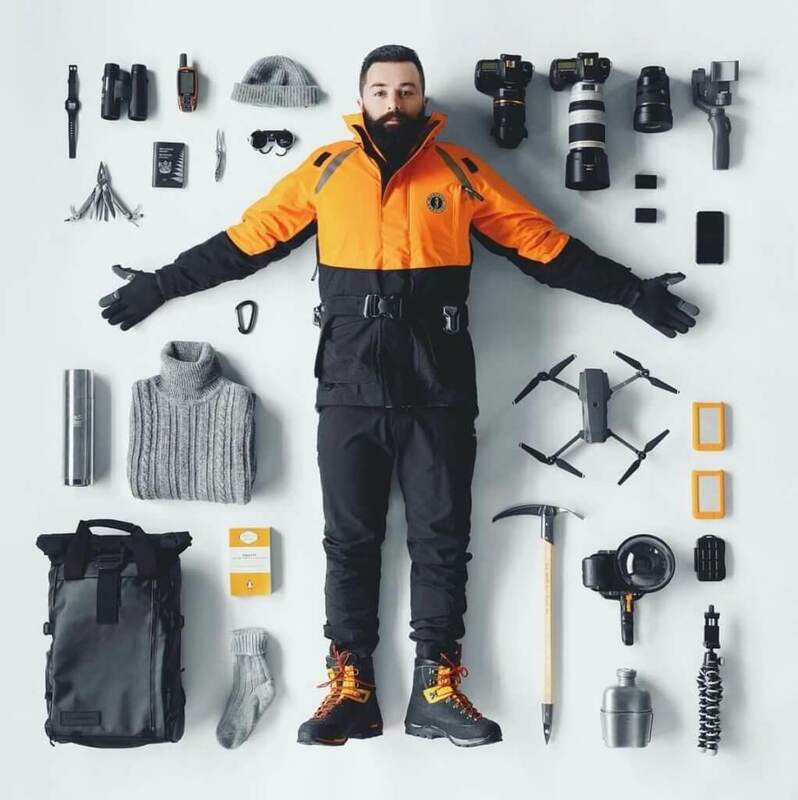 John Bozinov is a professional polar expedition photographer and here is the camera gear that he brings along while he’s out shooting in the cold. His wildlife photography is top notch and his ability to capture these amazing visuals in the cold is quite impressive. I would trust his recommendations on camera gear! One of the most insane camera setups I’ve seen! 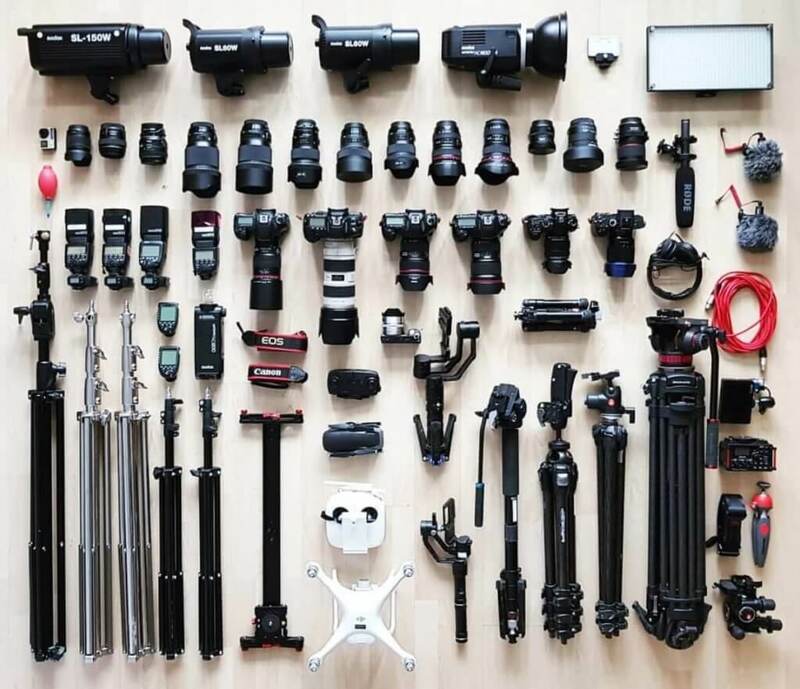 Pawel showcases all of his gear including his photography lighting, his collection of lenses, his set of Canon camera bodies, and various photography accessories! 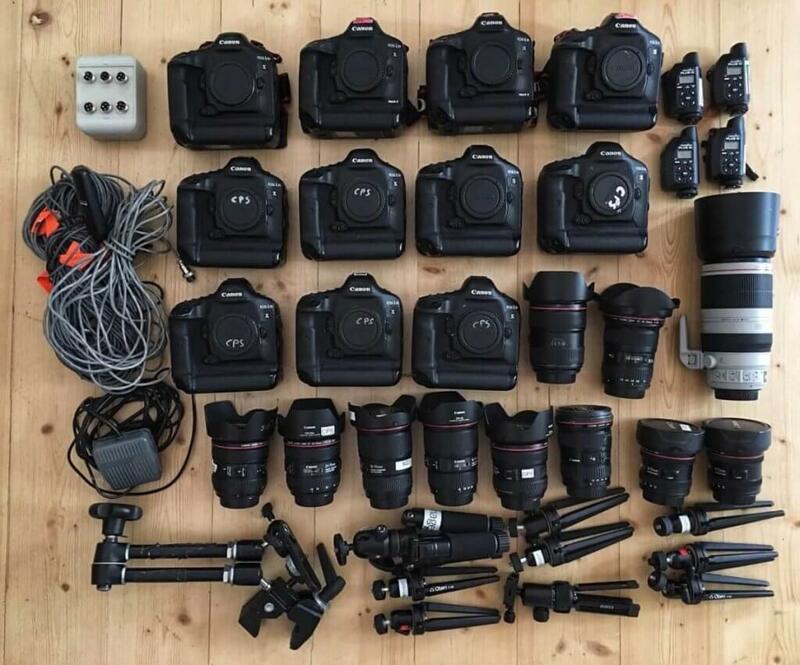 From studio shoots to portrait photography, Pawel does it all and it makes sense for him and his team to carry around this much equipment in their camera bags! You’ve probably seen Getty images watermarked across some pretty amazing photos around the internet. 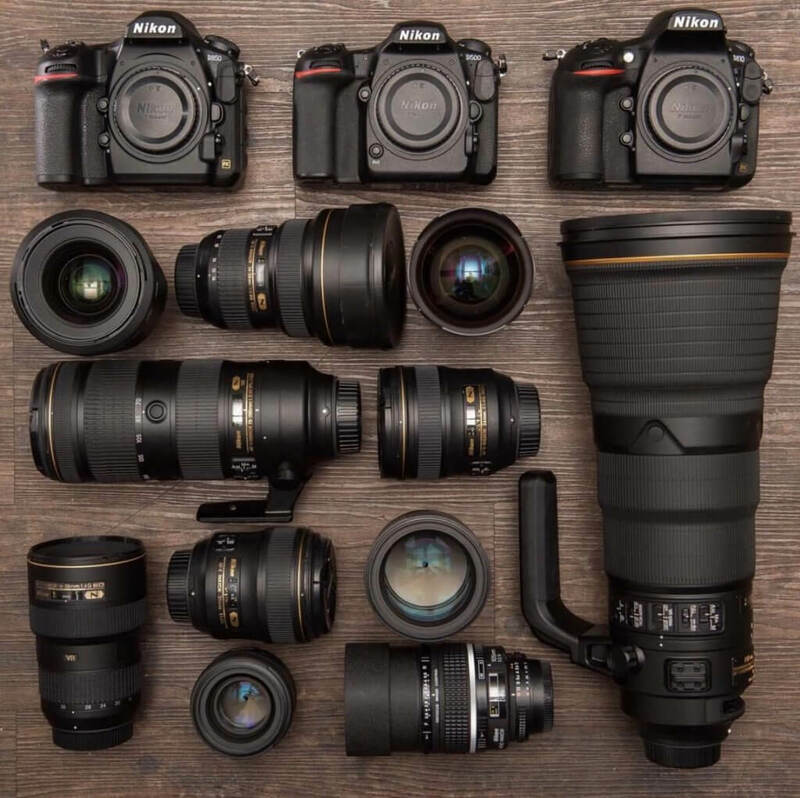 This camera gear spread is from Getty’s staff photographer Robert Cianflone. A quick glance at Rob’s feed and you can see that he specializes a lot in action photography. He has captured some big name teams and there’s a good chance that some of your favorite sports moments were captured by Rob from the sidelines! Last, but not least in this collection of “what’s in my camera bag” photos is photographer and content creator Matthew Vandeputte. Matt is a professional time-lapse photographer and his work is some of the best I’ve ever seen. Along with time-lapse footage, Matt also does tutorials and videos on YouTube and I would recommend checking his channel out if you’re looking to learn about time-lapses! What do you think of all the “what’s in my camera bag” spreads? Do you have a camera bag that you want to showcase? Let us know down below in the comments and tag us in your photos on Instagram!